Tim Kasher doesn't want to grow up. While many think of adulthood as job security, white fences and nuclear families, there is an equal and opposite force that, once free of school and guardianship, continually craves a more dynamic mode of living through freedom of choice and mobility. The two inherently conflict. 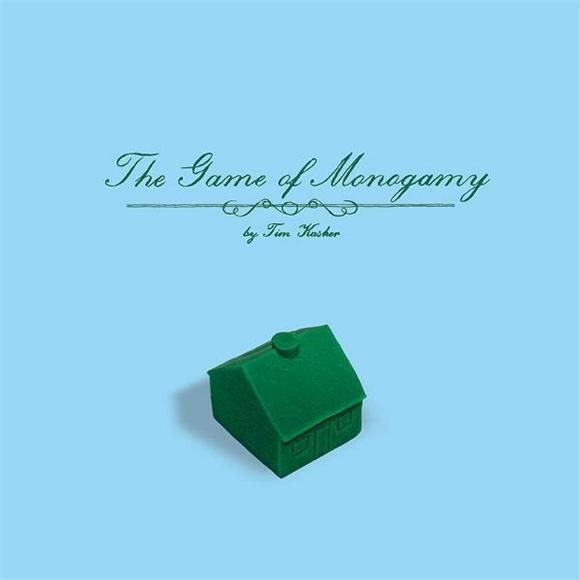 The Game Of Monogamy, on the surface, refers to relationships, and maybe marriage, but a monogamous life in stereotypical middle America (where Kasher grew up) has numerous implications that are explored here; you must provide, you are expected to raise children, and you certainly can't live as you would a single, untethered man. Slavery to a societal system is sometimes part of getting older, but what if our desires don't quite line up with the structure? That is the question Kasher has posed again and again, and with Monogamy we find him no closer to the answer that he was ten years ago. "I don't want a kid and I can't keep being one". Through canned strings and soap opera lyrics, Kasher wears his preoccupations on his sleeve. He's at his most theatric with these arrangements, and the lyrics reflect his dramatic intentions. It's not always easy to digest, especially if the listener's personal perspective is an unsatisfied one. Monogamy spends so much time inside its own head, there is a definite risk of getting stuck in there forever. Much like listening to 808s and Heartbreaks and being on the same page as Kanye (lonely, mourning, angry), those who feel trapped in some sort of commited life limbo will do best to avoid this album, especially while intoxicated. "When I was young I believed in love/but I also believed in God" Kasher cries, and it's a scary comparison. Are they really so similar? Does over-intellectualizing lead to a rationalization of the impossibility of actually caring about people? What do you call someone who doesn't believe in love? Or just doesn't believe its existence can be proven (agnomantic)? Kasher wonders if his old girlfriends ever feel like something is missing. Kasher fears for the futures of the faces in his yearbook. His profound inability to live in the present might be what is fueling his uncertainty, and by proxy, anyone who starts to resonate with his thoughts, whether girlfriend, friends, or even his audience. "You said baby/you worry/so much about dying/you forget to really live". So approach with caution, Monogamy is a vicarious album. Whether or not it speaks to a specific situation in your life, it elicits a sympathetic feeling towards the uncertainty of growing older and losing touch with perceived happiness. But Kasher isnt trying to bum everyone out, he is just really honest and has specific things to say, and that sincerity is what fuels the raw, grating quality of his most emotionally heavy sentiments. They can definitely swing moods, but whether or not they inspire real, permanent life changes is still entirely up to the listener. For Kasher, it seems Monagamy is more about release than closure, which is probably why he hasn't found any after all this time.